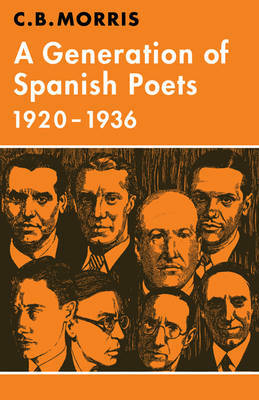 This critical study of the group of remarkably talented poets who flourished in Spain between the First World War and the Spanish Civil War includes copious quotations accompanied by English prose translations. Mr Morris treats his poets as a group, showing how they shared certain themes and attitudes. He begins with a general study of the generation as a whole and then examines the use of tradition; the zest and levity of the Jazz Age; the exaltation of life as a shared attitude; then its converse; the escape from life; and finally the expression in complex imagery of personal tensions and disturbances. These are often 'difficult' poets, but become less so when they are sympathetically examined in this way and in relation to earlier literary traditions. Mr Morris enables the reader to take bearings and establish relationships which are enhanced by reproductions of photographs of the poets.